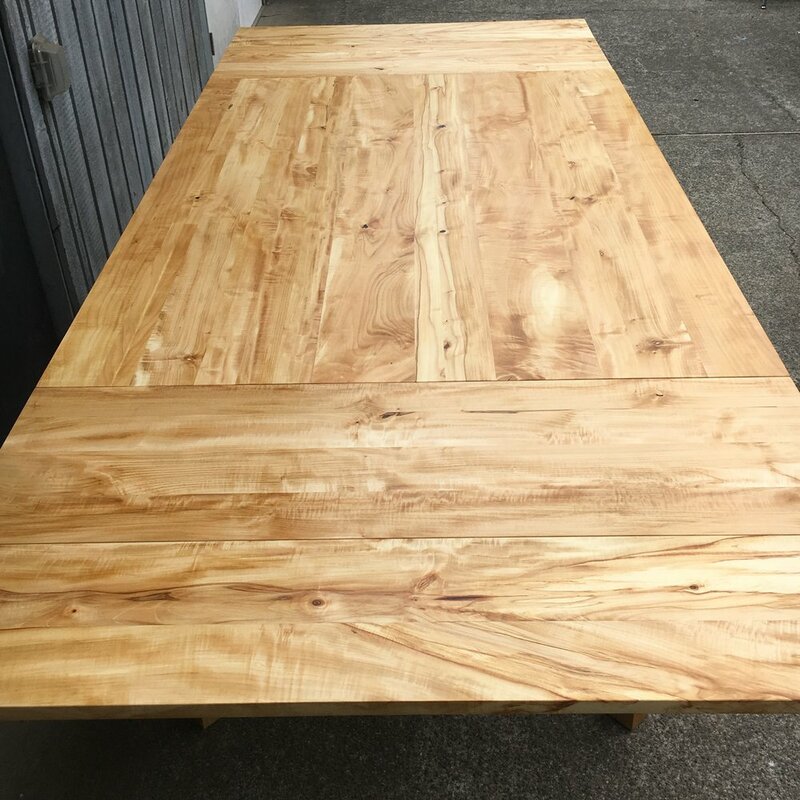 The wood for this table was taken from a giant horse chestnut tree living on the banks of Thornton Creek in NE Seattle. I had the wood milled and then air-dried it until the right project came along. 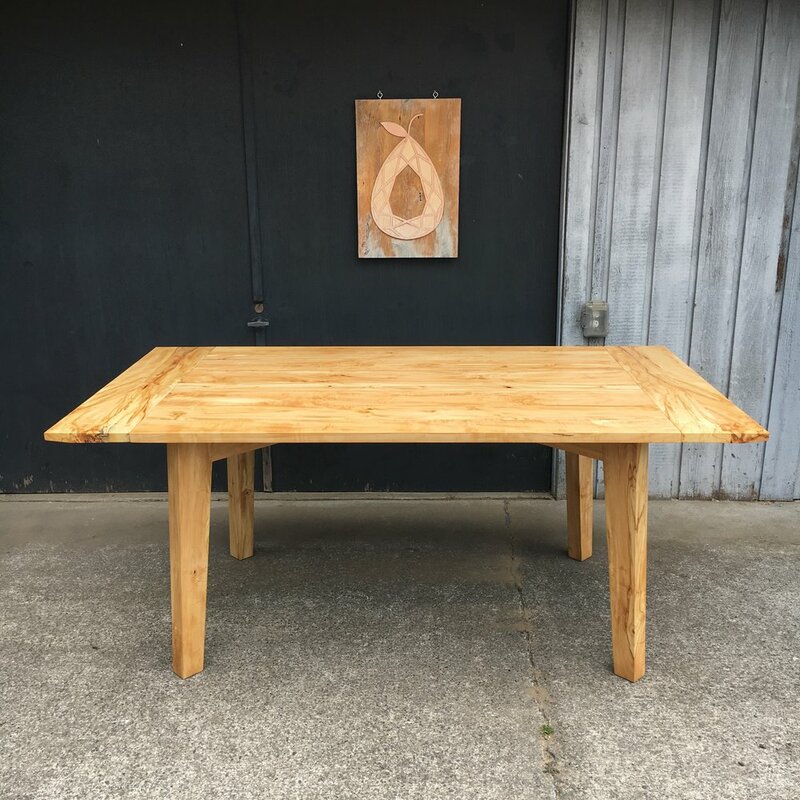 This is the first of two big tables I made from the lumber. This one uses the same extension system from my previous project, but in an even bigger table.